a public sector that is trusted by Victorians. The Strategic Plan is supported by the VPSC Annual Plan 2018/19, which maps the VPSC’s work program over the 2018/19 financial year. 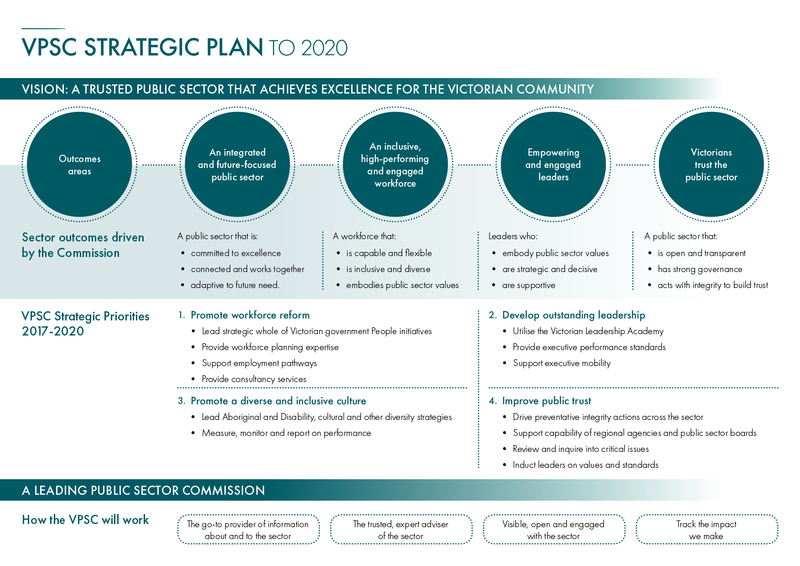 The VPSC will report against the Strategic and Annual Plans’ targets through an outcome and performance framework.